Idroenergy is a company that designs, manufactures and installs on-site high-purity hydrogen and nitrogen production systems. Advanced industrial automation procedures, strong research efforts to offer continuous technology improvements and the professional and solid engineering guarantee perfect correspondence between offer and application. Idroenergy technical personnel, with its after-sales service centres located in Milan, Vicenza and Livorno guarantee prompt intervention in case of need to follow installation, trial and start-up phases of on-site hydrogen and nitrogen generation systems, inerting systems, sintering, thermal treatment of metals, brazing, flame applications and in case of renewable energy for the production of hydrogen from solar panels or aeolian generators as well as on the installation of generators for hydrogen distributors, for pharmaceutical/chemical industry or food industry. Thanks to its deep know how and to its extended expertise on the specific field technology, Idroenergy is proud to be a leader company in Italy and abroad. inerting systems. Thanks to a deep know how and to its expertise on the specific field technology, Idroenergy is a leader company in Italy and abroad. 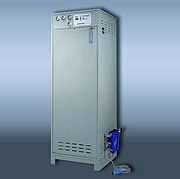 Nitrogen and hydrogen generators have been sold and installed in large companies worldwide. Thanks to the exclusive ICS (Idroenergy Communication System) technology, made up of a remote reading and controlling system, the company personnel is able to monitor and control its own nitrogen generators from any distance (also intercontinental). ICS is a valid management and control system for nitrogen generators that allowing data exchange between the gas generation units and the centre, increases machine reliability, allows optimising maintenance interventions and allows in-process regulations enhancing the system’s efficiency. That’s why Idroenergy is a reliable company, known worldwide, that has up to date sold more than 3,000 on-site gas production and purification systems. Idroenergy manufactures turnkey systems, managing sales and after sales phases, including design, production, installation, trial, start-up, personnel training and after-sales service that can be done in remote or local mode. Thanks to the equipment’s high technical specialisation, Idroenergy is able to offer personalised system solutions specifically studied to satisfy the user’s needs, able to supply exactly the necessary type of gas at the required purity and quantity. The following are the advantages of on-site nitrogen production, the technical specifications of nitrogen generators and the reasons for which Idroenergy is your best choice for the purchase and installation of nitrogen generators. Idroenergy nitrogen generators with PSA technology can be used to produce standard or high purity nitrogen gas as necessary. 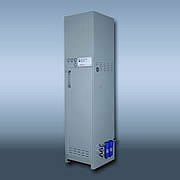 Particularly, nitrogen generators are able to satisfy nitrogen demands at standard purity (>99-99,5%) for tank and system inerting, for the use in food, pharmaceutical or chemical industries or for metal processing. If installed with the specific purifiers, the nitrogen generators can produce high purity gas suitable for thermal treatment purposes or for all those processes based on the use of high purity nitrogen without the need to over-size the system. Idroenergy, leading company in the field of on-site hydrogen generators that has installed its systems worldwide, also produces nitrogen generators that use PSA (Pressure Switching Adsorption) technology to optimise savings and allow its customers the production of their own liquid nitrogen. The last generation PSA technology allows the production of low cost, high purity nitrogen (from 98 to 99.99). Nitrogen generators built with the application of PSA technology are based on the use of special molecular sieve carbon tanks that filter and hold the oxygen found in the compressed air (7-10 bar). Once it has been filtered and dried, it passes to the specific oxygen adsorption tanks..
PSA nitrogen generators are solid and long-lasting systems designed for safe and profitable applications along their entire working life. This way, nitrogen generators allow the machinery cost amortisation, saving the nitrogen purchase cost. Indeed, the cost of on-site gas production exclusively depends on the electrical energy consumed to produce the necessary quantity of compressed air that powers the nitrogen gas generator. Idroenergy nitrogen generators are available in different sizes and models to satisfy all on-site gas production needs. The dimensions of Idroenergy nitrogen generators can vary from a minimum capacity of a few m3/h (2/3) to some hundreds (400 m3/h). The same way, also the purity of the gas produced by the nitrogen generators may vary to meet the customer’s needs: the purity of nitrogen produced by the generators can vary to meet the customer’s needs: the purity of nitrogen produced can reach different levels, from a percentage ratio (99.5%) to some ppm. (99.999%). If the user needs high purity nitrogen, Idroenergy nitrogen generators make use of the catalytic purification procedure based on the use of palladium oxide to completely eliminate all the fractions of oxygen found on the gas. Afterwards the purified nitrogen is dried on alumina towers that take it to a DP between -70°C and -80°C. o Commitment of a company that has installed on-site nitrogen and hydrogen production systems, sintering equipment, steel thermal treatment systems and purified gas equipment worldwide. The operation of Idroenergy nitrogen generators is reliable and safe. Furthermore, Idroenergy nitrogen generators do not need dedicated personnel to guarantee a constant, safe gas production: Idroenergy takes care of the situation! Indeed, thanks to the ICS (Idroenergy Communication System) technology, made up of a remote reading and control integrated system, the technical staff of Idroenergy is able to control the equipment through a practical remote connection. The ICS technology allows information exchange between the nitrogen generators and the centre, increasing the reliability of on-site nitrogen production equipment, optimising the maintenance interventions and improving the system’s efficiency thanks to the remote regulations made while running. Idroenergy nitrogen generators with PSA technology are reliable, safe and convenient systems, long-lasting and easy to use. The following is a list of advantages of on-site nitrogen production and the reasons for which Idroenergy is your best choice for the design and production of PSA nitrogen generators. ECONOMY: on-site gas production integrated systems designed, manufactured and installed by Idroenergy assure the maximum efficiency and productivity thanks to the new all-inclusive formula. This way the customer can purchase the nitrogen generator remarkably reducing the initial investment thanks to convenient flat price contracts that may exclusively vary following the Istat index. The cost saving obtained producing nitrogen and not buying the gas can be easily calculated: just compare the cost of bought and produced gas. o Oxygen quantity < 5 ppm. The characteristics listed above remain constant on-time and they are not subject to the quality variation that is normally found on compressed air: indeed nitrogen generators are equipped with purification systems that guarantee excellent on-site production quality. o the personnel does not have to handle high pressure flexible pipes and/or cylinder holders. GUARANTEES AND CERTIFICATIONS: Idroenergy nitrogen generators are certified in compliance with severe internationally recognised norms like TUV and PED, which guarantee reliability and safety. INSPECTIONS: Idroenergy constantly monitors on-site nitrogen generators, through regular maintenance programs and through the innovative control/safety software. Idroenergy nitrogen generators are equipped with the innovative ICS – Idroenergy Communication System that allows the team of experts to constantly keep under control the gas generation systems wherever they are installed. This practical and reliable remote reading and regulating system is able to control all the equipment installed worldwide. Idroenergy qualified personnel can supply ordinary and extraordinary maintenance, can promptly intervene in case of need and can install and start-up the equipment. RELIABILITY: with more than 3.000 dissociators and on-site nitrogen and hydrogen production systems, sintering systems, gas purifying and steel chemical treatment systems installed in all industrial fields, Idroenergy is certainly a leading company in the production and sales of on-site gas generation and treatment systems. In addition, Idroenergy offers a continuous assistance service on the entire Italian territory and abroad, thanks to its remote control service that allows its qualified personnel to immediately intervene to solve any type of problem regarding nitrogen production. Idroenergy, which has worked for many years in on-site production and treatment of gases like nitrogen and hydrogen, is a company that grants safety, reliability, cost reduction and high quality of processes and products. Thanks to the application and the observance of high quality standards in the sector of design, engineering, installation and management of high purity hydrogen and nitrogen generation systems, Idroenergy is the best choice for the purchase, installation and maintenance of hydrogen and nitrogen generators. – Maximum efficiency and cleanliness of treatment furnaces (belts, chambers, muffles). – Significant convenience of high purity nitrogen produced and consequent productivity increase. Idroenergy is a reliable and professional partner to start on-site nitrogen and hydrogen production. Thanks to its centres in Milan, Vicenza and Livorno, Idroenergy is always able to assist its customers promptly and efficiently. The safety certifications that mark all Idroenergy systems guarantee commitment and safety of a company that works worldwide on sales, installation and maintenance of nitrogen and hydrogen generators. On-site nitrogen production strictly in compliance with international norms as confirmed by the certifications obtained: Idroenergy nitrogen generators are perfectly in compliance with European/German safety norms (BGV). In fact, on-site nitrogen generators designed, manufactured and installed by Idroenergy are certified by the inspection agency TUV. In addition, the installation of on-site nitrogen production systems does not imply the area classification observing “Atex” norms, which means that generators can be safely installed. Nitrogen generators can be used for different applications requiring inert atmospheres, without oxygen content.